Let's take a break from our regularly scheduled...programming (ha!). Instead of looking at what goes into our code, in this tutorial, we are going to go a bit higher and look at something really basic. We are going to look at where exactly the code you write should live. 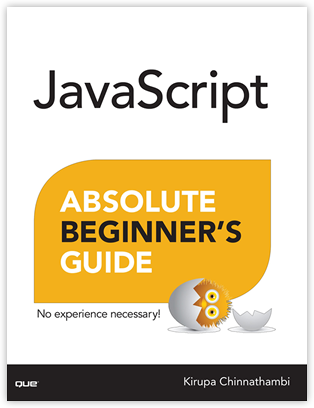 To make things more interesting, you also have variations on the two approaches such as having multiple script sections in a HTML document, having multiple JS files, and so on. In the following sections, we'll look at both of these approaches in greater detail and discuss when you would choose to use one approach over the other. 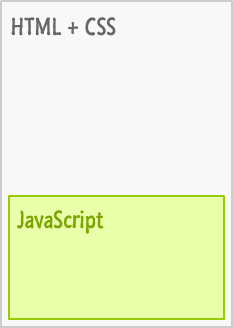 Everything you would normally put inside a script tag in the HTML will go here. Nothing else will go into this file. Putting anything else like arbitrary pieces of HTML and CSS isn't allowed, and your browser will complain. Either a relative path or absolute path will work just fine. For situations where the path between your HTML page and the script you are referencing your will vary (such as inside a template, a server-side include, a 3rd party library, etc. ), you'll be safer using an absolute path. This behavior where your browser linearly parses your document has some interesting side effects that affect where in your document you want to place your script tags. 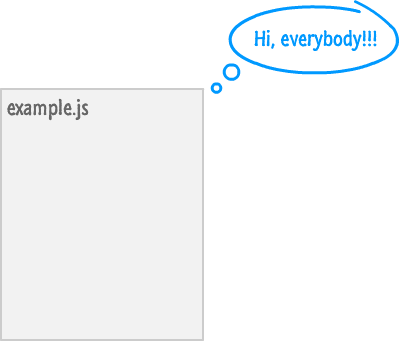 Technically, your script tag can live anywhere in your HTML document. There is a preferred place you should specify your scripts, though. Because of how your browser parses the page and blocks everything while your scripts are executing, you want to place your script tags towards the bottom of your HTML document after all of your HTML elements. 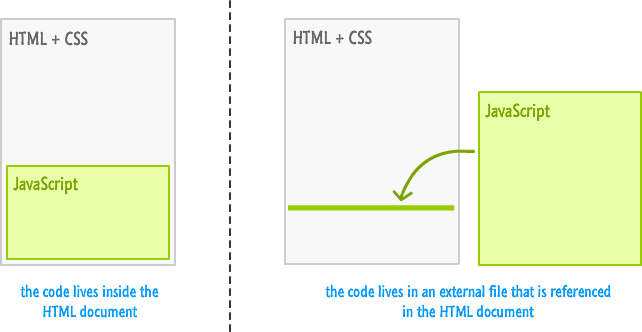 The approach you end up choosing depends on your answer to the following question: Is the identical code going to be used across multiple HTML documents? Yes, my code will be used on multiple documents! 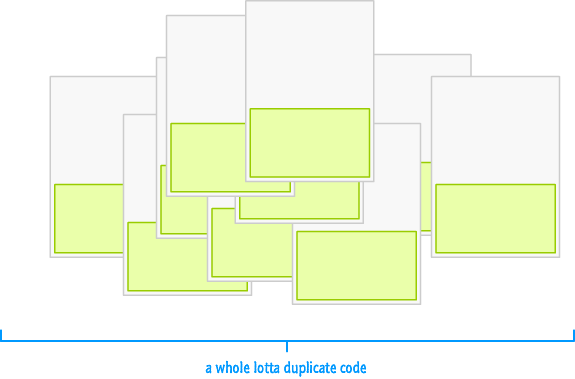 Duplicates make maintenance a nightmare where a change to your script will require you updating every single HTML document with the exact change. 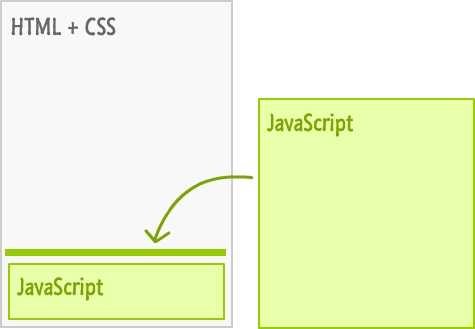 If you are employing some sort of templating or SSI logic where there is only one HTML fragment containing your script, then the maintenance issue is less of a problem. The second reason has to do with file size. When you have your script duplicated across many HTML pages, each time a user loads one of those HTML pages, they are downloading your script all over again. This is less of a problem for smaller scripts, but once you have more than a few hundred lines of code, the size starts adding up. No, my code is used only once on a single HTML document! If you answered no to the earlier question around whether your code is going to be used on multiple HTML documents, then you can do whatever you want. 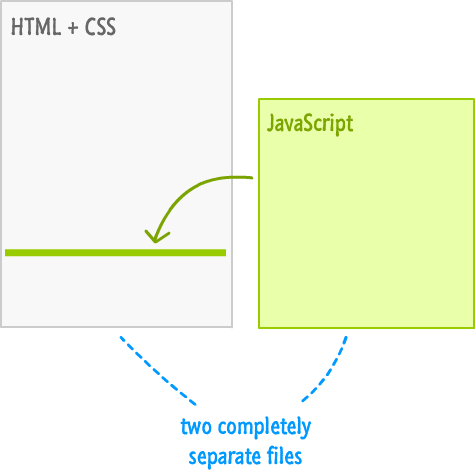 You can still choose to put your code into a separate file and reference it in your HTML document, but the benefits of doing that are less than what you saw earlier with my example involving many documents. Placing your code entirely inside your HTML document is also fine for this situation. Most of the examples you will see in this site have all of the code within the HTML document itself. Our examples aren't really going to be used across multiple pages, and they aren't going to be so large where readability is improved by putting all of the code in a separate location.